I recently bought a 2007 canning and have noticed the wheels leaning in and scrubbing of the inside edge of the tyers. I believe there is a wheel alignment that can be done but can't find any information. Dose anyone have any information on how to do the alignment. You will find it in the Technical section on the forum under MC2 Suspension - wheel alignment. You can download it from there. The adjustment doesn't adjust the camber...only toe in and out !! If the wheels are leaning in that bad at the top then to my mind I’d say your coil springs plus shock absorbers may need replacing as I’m guessing they have sagged beyond their service limit. Wheels cannot lean in unless something is bent under the Tvan..
Or the installed axle should have failed its QC. check, before it was installed. 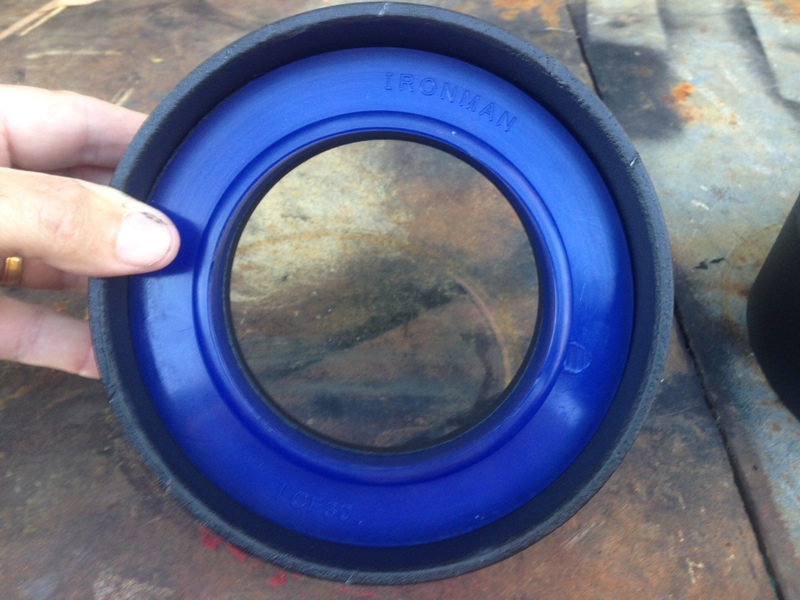 If they are "Chopped out" on the inside edge rather than worn evenly it's probably your shock absorbers/bushes. A lot is said about the suspension and claims to be the best in the business. We need to realise though, to be fair, that this suspension has a major flaw in that the wheels are never quite aligned on the vertical angle of the tire. Load it some, supsension sags slightly as any suspension would, but with this suspension the wheel squats and you scrub on the inside of the tire. Nothing one can do about the camber of the wheel, and at the price of tires what they are it is a pity. I'd say it's more of a by product of the best trailer suspension rather than a flaw. As stated prior ride height, thus keeping springs and shockies in the correct zone is extremely important to the overall tyre vertical plain. I've illustrated in a few posts over the years how the springs on my Tvan sagged, and to compensate I placed the 30mm spring spacer in the metal locating ring to prevent this from happening again. Been very happy now for around 3-4 years since I did it. To help analyse your problem I have a 2006 Canning. If your wheels are leaning in at the top that is negative camber. It is a rare event that both would be leaning in. On a Tvan there is only a couple of things that can cause this: either shortened or collapsed springs or bent axles. 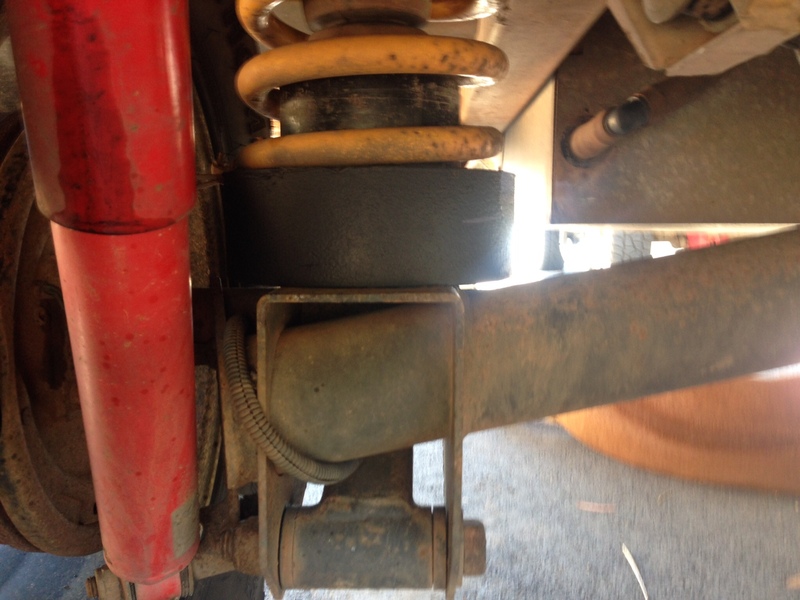 It is highly unlikely the MC suspension arms that cross from one side to the other are bent or the rubber mount on the high side has collapsed and dropped. So do a quick measurement. My spring length, ( wheels on the ground and water tank full), is 290mm. If you get something close to that, say +/-20mm, then your suspension is sitting at the right height, for the age of the Tvan, (spring sag over time etc). Then I did a measurement from under the mudguard to the centre of the axle cap: 585mm. If you subtract 585-290= 295mm. When you measure yours if you get anything less than say 285 it would point to bent axles. This could happen if say a washout was hit at high speed or something similar. If this is the case I would start by removing the wheel and brake hub and you should be able to see if the axle is bent up. I think people overlook the actual loading on the Tvan’s themselves. I recently completed some testing in the bush and we had a Mk5, MK4, and my MK3 Tvan’s along for the ride. Considering I am doing another W/A on a Tvan this week with reported negative camber I was curious to see what each Tvan looked like. 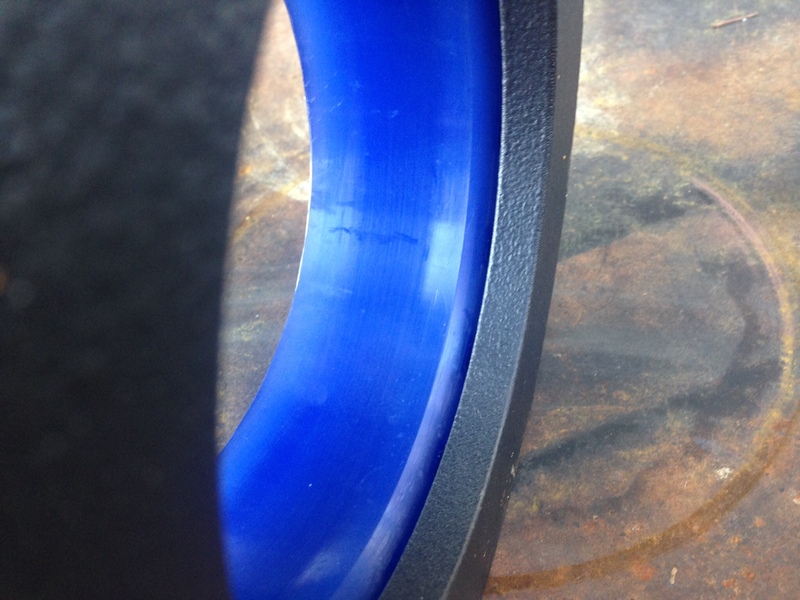 MK5 had no negative camber what so ever and yet has had the hardest and I mean the hardest life ever given to a Tvan, the MK4 did show signs of negative camber on both wheels and out MK3 as usual had its negative camber being evident. I know our Tvan is fine with no wear in the bushes or any bends to the axles etc. I did another MK 3 a few months ago which the customer insisted he wanted new springs fitted at the time of the wheel alignment which he arranged. The height difference between the new and used springs when side by side was around 25 mm difference in height and yet when fitted made no appreciable difference to the camber angles of the Tvan. Once again with this customer the bushes where fine and no bends in any of the arms etc. Shock absorbers will have no impact on camber angles whatsoever as someone suggested. So all being good what causes the negative camber issues, weight ?? The MK 3 Murranji we own has the two water tanks as standard which we always keep full, we always travel with the full annexe, end and side walls and a fair bit of gear in the wife’s pantry storage located in the front box. So folk once you have had a thorough check by someone that knows what they are looking at then look at how much extra stuff you are carrying, especially in the MK3 range. five year old tires and some 30,000 kms. Wheel alignment on a Tvan as those have stated will only adjust or correct the toe in out adjustment. Be a good one to chat with Graeme Berry if he hasn’t retired yet or you could get through on the phone. Yes sure but condition of springs being good or not, the camber is directly affected by the load is it not? Unlike other suspension designs where the camber and alignment stay true notwithstanding the load or condition of springs. CJ, Isn’t that what was suggested in the above post ? Apologies Pete, indeed it is. The camber is not adjustable, the camber is affected by the weight you are carrying and/or the condition of the springs. For a $70k camper with probably $1k worth of rubber on the wheels it is a shortcoming if you get only half the mileage from your tires, as I have experienced. Is it fair to assume, based on what Pete930 says about the Mark 3's in comparison to the Mark 4's and 5's, that the springs for the Mark 4's and 5's are slightly stiffer than the Mark 3's (and presumably the earlier Mark 1's and 2's) ?